Catholic charities have joined forces to launch an exhibition in Parliament showcasing the response of the Catholic community in England and Wales in welcoming refugees. 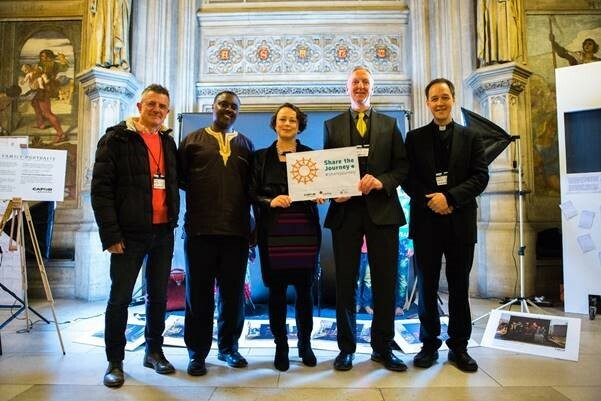 CAFOD, Caritas Social Action Network and the Jesuit Refugee Service (JRS) have worked together to stage the exhibition, which opened yesterday at the Palace of Westminster by Newcastle North MP, Catherine McKinnell. The exhibition demonstrates the work of the Catholic community and the three agencies in supporting refugees, both at home and overseas. 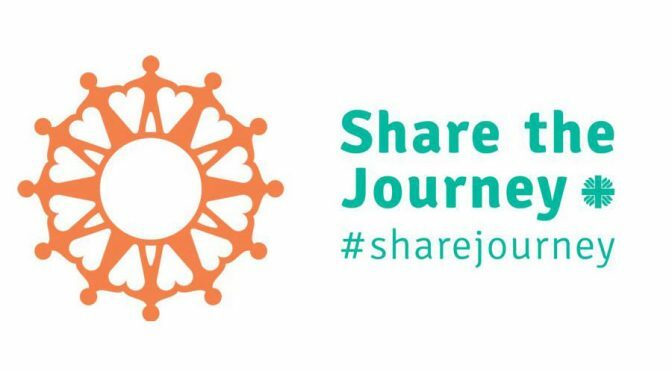 The Share the Journey exhibition takes its name from the recently-launched campaign from Caritas Internationalis, a confederation of 165 Catholic development and relief agencies working at the grassroots in almost every country of the world. The campaign and the Westminster exhibition focus on four aspects of safe migration: to welcome, to protect, to promote and to integrate migrants. 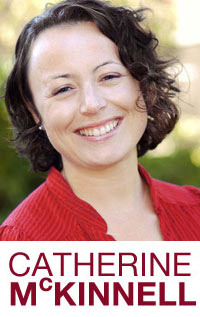 The exhibition presents CAFOD’s projects protecting refugees in camps, JRS’ work supporting asylum seekers in the UK and promoting their rights, and CSAN’s support for the Community Sponsorship Refugee resettlement scheme, integrating refugees in local parish communities. More than 40,000 messages of hope and welcome have been sent to refugees by Catholics in England and Wales in the last year, some of which have been displayed in the exhibition. Visitors to the exhibition are given a bookmark. ‘At a time when it is easy to focus on what makes us different and divides us, I am proud to be hosting this exhibition in Parliament about the importance of providing sanctuary and support to our fellow human beings in their time of need. Pope Francis has made the protection of migrants and refugees a key issue of his papacy, launching a new department in the Vatican focused on the issue that he personally oversees. In August, the Vatican published guidance for governments, urging them to step up and respond to the world’s current mass movement of people. The Holy Father is hoping to increase political will ahead of countries negotiating two new ‘global compacts’ – or agreements – on refugees and migration at the United Nations General Assembly in September 2018.